Retro cube is the premier mobile app development company that is equipped with the finest technology and expertise. Our mobile app developers delve deeper to create an app that can stand out from the clutters. Retro cube is the largest mobile a development service provider. It caters to a huge range of industries. Whether you prefer IOS or Android platform, your app will show the best traits and will be developed on the official guidelines of the platform. Our success lies in the success of our client’s business. Since the beginning, Retrocube has been directed by a set of values that have molded the way we work, which also defines our connection with clients, employees, and the community as a whole. All these values produce an intelligent team that gives the best result to our clients globally. We encourage the values of honesty and integrity among team members by creating a supportive work culture. We always try to improve the quality of our products by exploring innovative ideas. We aim to deliver incredible value for the time and money invested by our clients. With long-lasting solutions, Retrocube sustains to improve the customer’s business performance by staying true to our Vision, Mission, and Values. What problems does Retro Cube solve? We stay true to our values and deliver the best mobile game app development solutions, which are not only coherent and comprehensive but also, add extra value to your business. At Retro Cube, we understand that we are only as strong as our process. With the goal to constantly improve the way we work, we stay focused on process enhancement and evolution while delivering the best possible mobile and web solutions to you. Our team of developers is comprised of professionals who are expert and well qualified. They follow transparency in the process and keeps customer constantly at ease. Retro Cube is a global guru in mobile application design & development. We create comprehensive applications and games for entrepreneurs, start-ups and enterprises across various platforms such as Android and iOS. We also provide high-end web solutions to assist businesses in achieving their true potential and spread their message across the digital world. 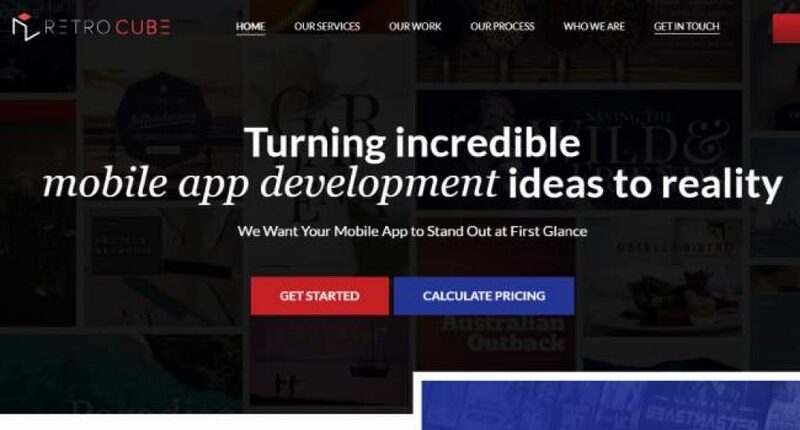 Passionate, talented and highly trained designers and app developers are at your service 24/7 to deliver unprecedented mobile app solutions to you. We love to bring you solutions that not only meet your requirements and fit into your solution set but rather become an integral and natural part of the system and this is how we think and deliver.